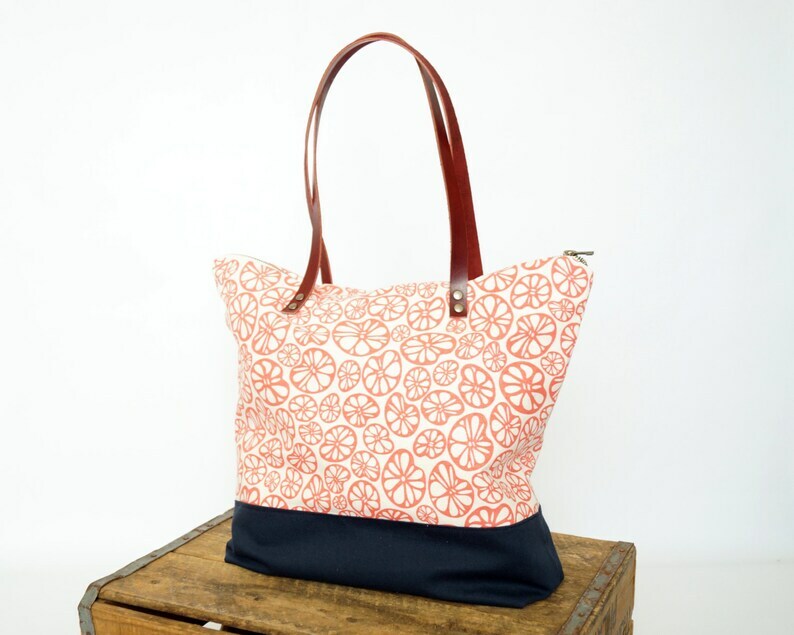 The ‘Shopping Tote’, featuring original hand-printed organic fabric. This large shoulder tote is the perfect size for hitting the shops, heading poolside or a trip to the beach. The purse combines an original Cloth+ink screen printed coral fabric on both sides with a sturdy navy organic canvas gusset. Finished with larger internal pockets, antique brass zipper and black leather strap. Also makes a perfect gift for a special someone who values handcrafted, eco friendly products! Strap Length: Approximately 24” (61cm) - If you require a longer or shorter strap please contact me with the details prior to purchase. - Care Instructions: hand wash recommended, lay flat to dry.